Hands Off My Child: Prayers Bring Miracles by author Madelin Martinez is a nonfiction Christian memoir that shares how health issues in her family have deeply affected her life and faith. Hands Off My Child tells the incredible story of how Madelin's two eldest daughters, Natalie and Nadia, experienced unexplainable illnesses simultaneously that required them to be hospitalized repeatedly. As their health advocate and prayer warrior, Madelin sought God's healing power through prayer for her daughters as they battled mysterious illnesses. After many hospitalizations, miracle recoveries, and relapses, Natalie was diagnosed with ulcerative colitis and Crohn's disease, and Nadia was diagnosed with autoimmune disorders, tuberculosis, and neuromyelitis optica. 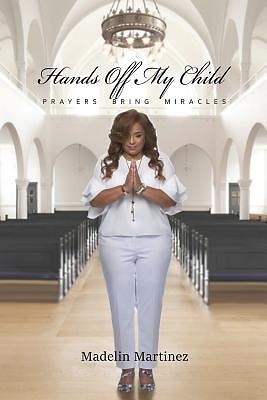 Hands Off My Child shows readers how faith and healing are connected, revealing the power of prayer to overcome even serious medical emergencies. Christian nonfiction; Christian memoir; medical memoir; healing; prayer.